JOHN FOREMAN STAFF was a steward who came free to the colony on board his uncle’s barque Denmark Hill (1821). He soon established himself in Parramatta where he led a varied working life and remained active in the community until his death in 1876. In May 1827, for example, STAFF was appointed constable and stationed at the Parramatta Female Factory. It was a post he may not have held for long, however, as he was already recorded as a schoolmaster of George St, Parramatta by the time of the 1828 Census. 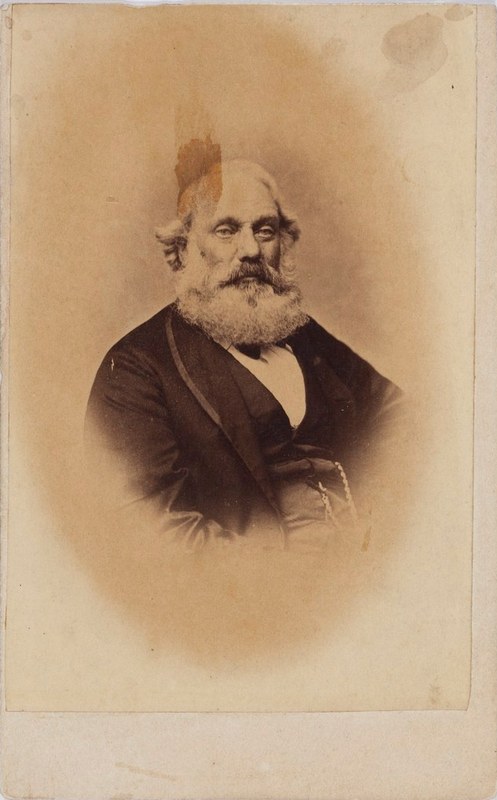 Among his other occupations, he was an auctioneer and commission agent, parish clerk and choirmaster of St. John’s Church, Parramatta then at the Wesleyan Chapel, Bailiff of the Court of Requests, Parramatta. His charitable projects included the Parramatta Benevolent Society for the relief of the aged and infirm, sick and poor, and he was also a patron of the Asylum for the Deaf and Dumb and Blind. An 1840s needle painting by STAFF’s daughter, ELIZA SOPHIA STAFF, is located at St. John’s Church, Parramatta and depicts JOHN FOREMAN STAFF, Reverend SAMUEL MARSDEN and Reverend H. H. BOBART as well as St. John’s original three-tiered pulpit. JOHN FOREMAN STAFF is buried at St. John’s Cemetery, Parramatta. 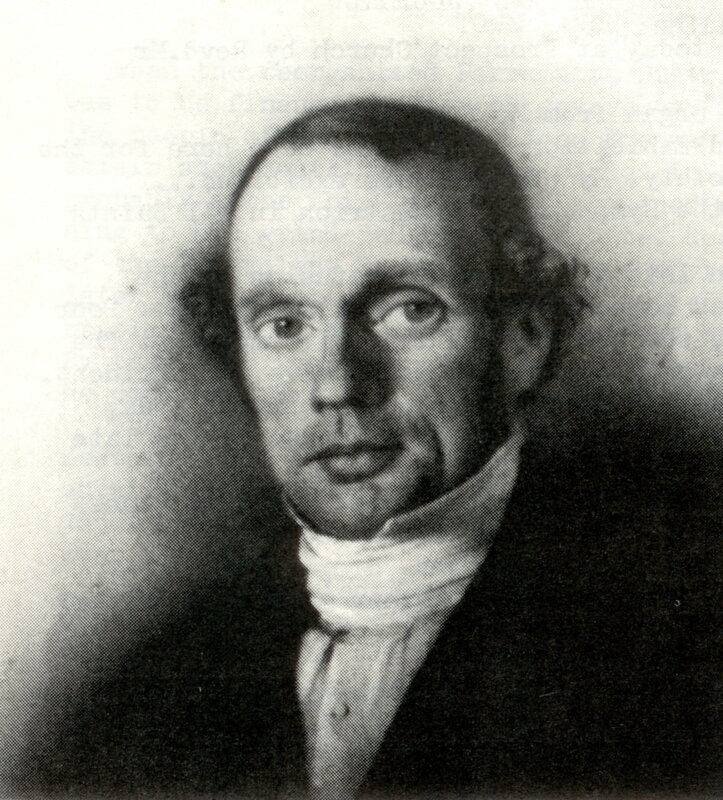 John Foreman Staff, aged 43 years, from a painting by William Griffiths. Photo by Linda Bradley. Andrew Houison, “Odd Bits in the History of Parramatta,” Australian Historical Society, Journal and proceedings (1903), p. 123, http://nla.gov.au/nla.obj-590580827, accessed 2 December 2018. “COUNTRY NEWS. Parramatta: DREADFUL OCCURRENCE ! !” Bell’s Life in Sydney and Sporting Reviewer (NSW: 1845 – 1860), Saturday 7 March 1846, p. 4. “COUNTRY NEWS. Parramatta: THE GREAT AND GLORIOUS RESIGNATION OF THE PARISH CLERK AND SEXTON,” Bell’s Life in Sydney and Sporting Reviewer (NSW: 1845 – 1860), Saturday 22 January 1848, p. 3. “PARRAMATTA,” Empire (Sydney, NSW : 1850 – 1875), Saturday 25 December 1852, p. 4. New South Wales Government, “St. John’s Cathedral, Parramatta,” State Heritage Inventory, (Office of Environment and Heritage, New South Wales, Australia), https://www.environment.nsw.gov.au/heritageapp/ViewHeritageItemDetails.aspx?ID=2240105, accessed 2 December 2018. “POLICE. Thursday,” Parramatta Chronicle and Cumberland General Advertiser (NSW: 1843 – 1845), Saturday 7 September 1844, pp. 2–3. “Old Parramatta,” The Cumberland Argus and Fruitgrowers Advocate (Parramatta, NSW: 1888 – 1950), Saturday 21 November 1903, p. 3. “Government Notice,” The Sydney Gazette and New South Wales Advertiser (NSW: 1803 – 1842), Wednesday 30 May 1827, p. 1. “CLAIMS TO LAND,” The Sydney Herald (NSW: 1831 – 1842), Thursday 3 July 1834, p. 4. “PARRAMATTA,” The Sydney Morning Herald (NSW : 1842 – 1954), Saturday 23 January 1858, p. 5. “DEPLORABLE SUICIDE,” The Sydney Morning Herald (NSW : 1842 – 1954), Friday 31 January 1868, p. 5. “Advertising,” The Sydney Morning Herald (NSW : 1842 – 1954), Wednesday 15 September 1869, p. 1. “PARRAMATTA,” The Sydney Morning Herald (NSW : 1842 – 1954), Friday 11 August 1876, p. 6.